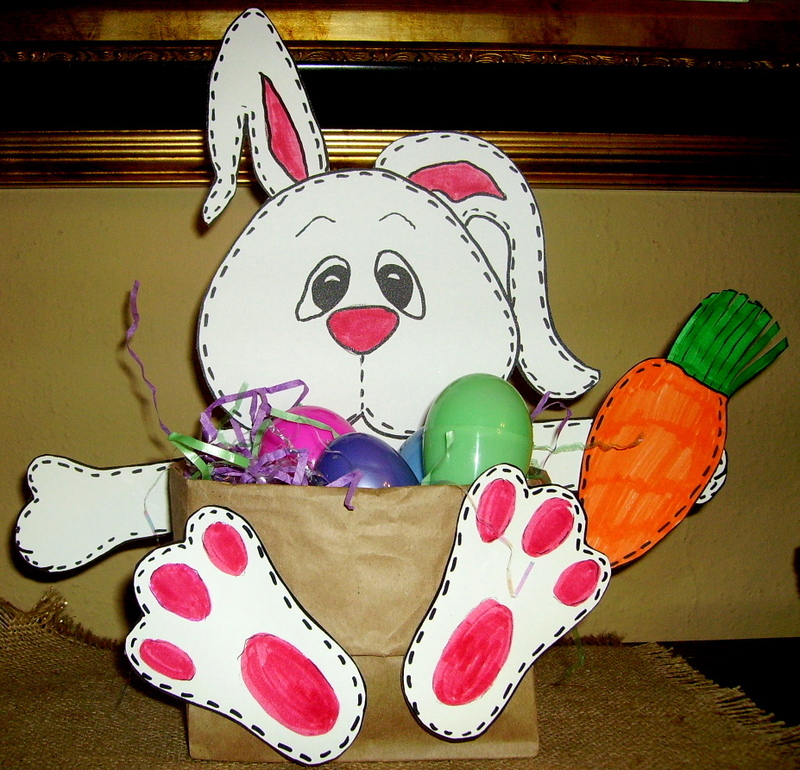 Here is an inexpensive Easter basket that the kids will love to make. The brown lunch bag is the bunny body and the head, arms and feet are attached to finish this Easter basket. Stitches added to the head, arms, feet and carrot, give our bunny a country look. The carrot top has slits cut at the lines to give the carrot top a more realistic look. I fold the tops of the lunch bags before class to save time. It depends on which class is doing the project; the younger kids will have a hard time turning the tops down without tearing the bag. This project, “Stitches, the Bunny” Basket,” can be found in the Easter Projects Gallery in the sidebar, because any class would enjoy doing it. This entry was posted in Categories, Easter and tagged bunny basket, cute bunny easter basket, easter baskets for kids to make, easter crafts for kids, lunch bag bunny basket, lunch bag easter project, lunch bags, stitches the bunny basket. Bookmark the permalink.